We are proud to announce that ComAnalytics has ranked our M.A. program the 19th most prestigious M.A. program in the U.S. out of 264 programs in the ComAnalytics database. This ranking puts us in the top 7% of all M.A. programs in the U.S.! Human communication is the process by which people create and share messages and meanings in order to pursue relational, rhetorical, organizational, or mediated social goals, purposes, and outcomes. Since the beginning of higher education in the West, Communication Studies has been at the core of the Liberal Arts promoting our understanding of the vital and formative role of social interaction in a variety of contexts. We believe the unique ability of humans to create, sustain, change, and influence their social worlds through human symbolic activity is primary to all we do and to whom we are; indeed, our social world is constituted in and through human communication. The goal of the MA in the Department of Communication graduate program at Baylor University is to achieve excellence in teaching, scholarship, research, and production methods through a balance of theory and practice. As such, we hope to provide our students with a unique understanding of the processes of social life, while also encouraging them to become ethical, articulate, and innovative leaders in the field of communication. 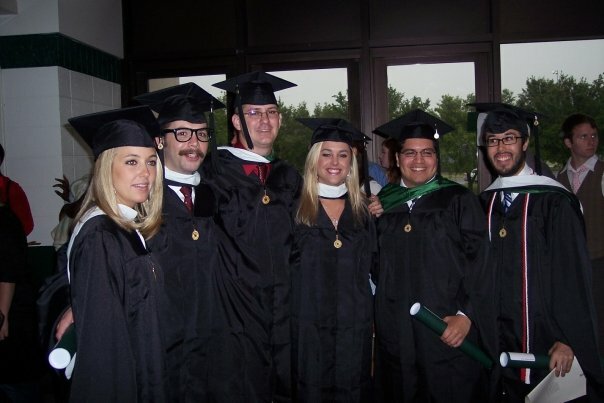 The MA degree in Communication Studies is designed to prepare students to use relational, organizational, rhetorical, and media theory and research in order to pursue career goals including advanced work at the doctoral level, careers in academia, and careers in consulting, business, and the media industry. Graduate education in the Department of Communication socializes students into two crucial forms of knowing. The first approach is humanistic or qualitative. This approach essentially aims to describe the characteristics of various forms of spoken messages. Rhetorical criticism and theory, analysis of argumentation, the production of film and video artifacts, film theory, and the aesthetics of film and video all fall under the rubric of the qualitative approach. The second approach of studying and researching human communication is grounded firmly in empirical methodologies involving such activities as experimental design, statistical analysis, studies of interpersonal, organizational, and small group communication, and the process and effects of mass communication. These two crucial forms of knowing will provide students with the opportunity to study several overlapping concentrations within the graduate program. ONE Degree, TWO Programs, THREE Pathways. The MA program is one graduate degree program housed in two different departments. As such, we offer two distinct programs of study--one in human communication and one in film and digital media. Further, the degree provides three primary pathways for completing the MA, which include a thesis, professional project/paper, OR a professional internship. For more info on program completion options, click here.